Integrated analysis of whole genome and transcriptome sequencing reveals diverse transcriptomic aberrations driven by somatic genomic changes in liver cancers. Preservation of the left gastric artery on the basis of anatomical features in patients undergoing distal pancreatectomy with celiac axis en-bloc resection (DP-CAR). Guidance for peptide vaccines for the treatment of cancer. Randomized clinical trial of isolated Roux-en-Y versus conventional reconstruction after pancreaticoduodenectomy. Endoscopic submucosal dissection for gastric tumors in various types of remnant stomach. Palonosetron exhibits higher total control rate compared to first-generation serotonin antagonists and improves appetite in delayed-phase chemotherapy-induced nausea and vomiting. Predicting factors for unresectability in patients with pancreatic ductal adenocarcinoma. Complications of endoscopic submucosal dissection for gastric noninvasive neoplasia: an analysis of 647 lesions. The impact of a pelvic pillow on learning how to perform laparoscopic low anterior resection for rectal cancer. Indication for the use of an interposed graft during portal vein and/or superior mesenteric vein reconstruction in pancreatic resection based on perioperative outcomes. Is preoperative colonoscopy necessary for patients undergoing gastric cancer surgery? Preoperative cholangitis during biliary drainage increases the incidence of postoperative severe complications after pancreaticoduodenectomy. Successful treatment of esophageal fistulas with endoscopic injection of alpha-cyanoacrylate monomer. Proposal of a new staging system for mass-forming intrahepatic cholangiocarcinoma: a multicenter analysis by the Study Group for Hepatic Surgery of the Japanese Society of Hepato-Biliary-Pancreatic Surgery. Impact of the post/preoperative serum CEA ratio on the survival of patients with rectal cancer. Identification of an HLA-A2-restricted epitope peptide derived from hypoxia-inducible protein 2 (HIG2). CEACAM1 long cytoplasmic domain isoform is associated with invasion and recurrence of hepatocellular carcinoma. Survival benefit of lateral lymph node dissection according to the region of involvement and the number of lateral lymph nodes involved. Pylorus-resecting pancreaticoduodenectomy offers long-term outcomes similar to those of pylorus-preserving pancreaticoduodenectomy: results of a prospective study. Prognostic significance of IL-17 mRNA expression in peritoneal lavage in gastric cancer patients who underwent curative resection. Optimal cut-off value for the number of colorectal liver metastases: a project study for hepatic surgery of the Japanese Society of Hepato-Biliary-Pancreatic Surgery. Clinical benefits of thoracoscopic esophagectomy in the prone position for esophageal cancer. Phase II clinical study of alternate-day oral therapy with S-1 as first-line chemotherapy for locally advanced and metastatic pancreatic cancer. Recent trends in hepatectomy for elderly patients with hepatocellular carcinoma. 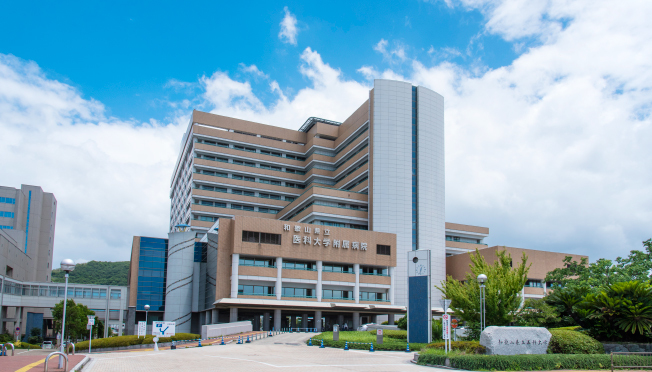 Influence of preoperative anti-cancer therapy on resectability and perioperative outcomes in patients with pancreatic cancer: project study by the Japanese Society of Hepato-Biliary-Pancreatic Surgery. Isolated Roux-en-Y anastomosis of the pancreatic stump in a duct-to-mucosa fashion in patients with distal pancreatectomy with en-bloc celiac axis resection. Antitumor immune response of dendritic cells (DCs) expressing tumor-associated antigens derived from induced pluripotent stem cells: in comparison to bone marrow-derived DCs.